Investment manager Invesco Real Estate has agreed to forward purchase a £32.5 million private rented sector investment in Hayes, west London. The deal with Be:Here, building group Willmott Dixon’s private rented sector developer, will fund the development of 118 flats that will be ready for renters in 2016. Invesco has made the investment in what is called the Gatefold Building, on behalf of an unnamed local authority pension fund. The site has been through a number of hands recently, with Be:Here purchasing it from previous joint owners Development Securities and Cathedral Group in December. Dev Secs and Cathedral bought the 18 acre Old Vinyl Factory site in Hayes in 2011, and have secured permission for a major comprehensive redevelopment including more than 600 homes. In recent months, the pair have agreed a merger, and have plans to develop their own private rented sector homes within the project boundaries. Be:Here will develop out the site in Hayes, and will manage the units on an ongoing basis following completion. 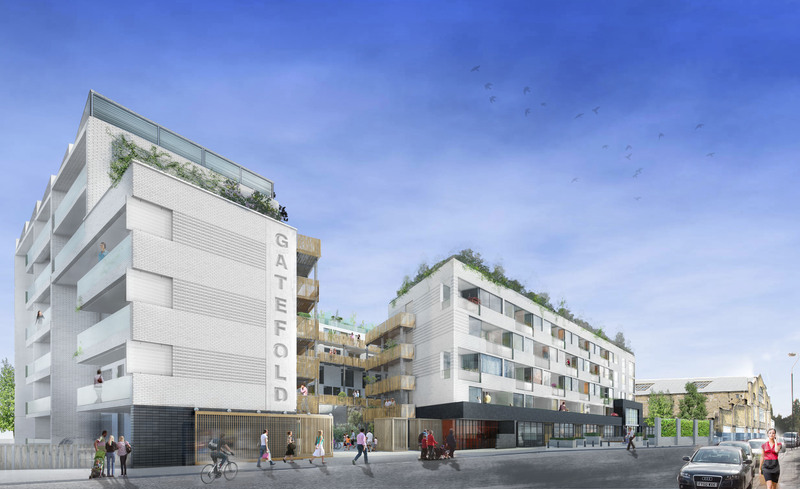 The company has another site, in east London, and will now be able to recycle the cash from the Hayes project into building up its portfolio. While the project is Invesco Real Estate’s first commitment to the UK private rented sector, the company has already committed funds to similar projects elsewhere in Europe. Around £106 million has been spent in Germany, supporting two multi-family housing projects, and new director of residential investments John German is keen to do more.